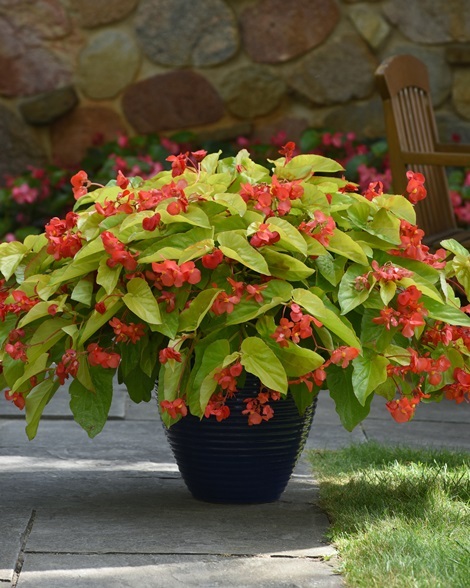 Plant Canary Wing Begonias for a stylish and exciting shady container. 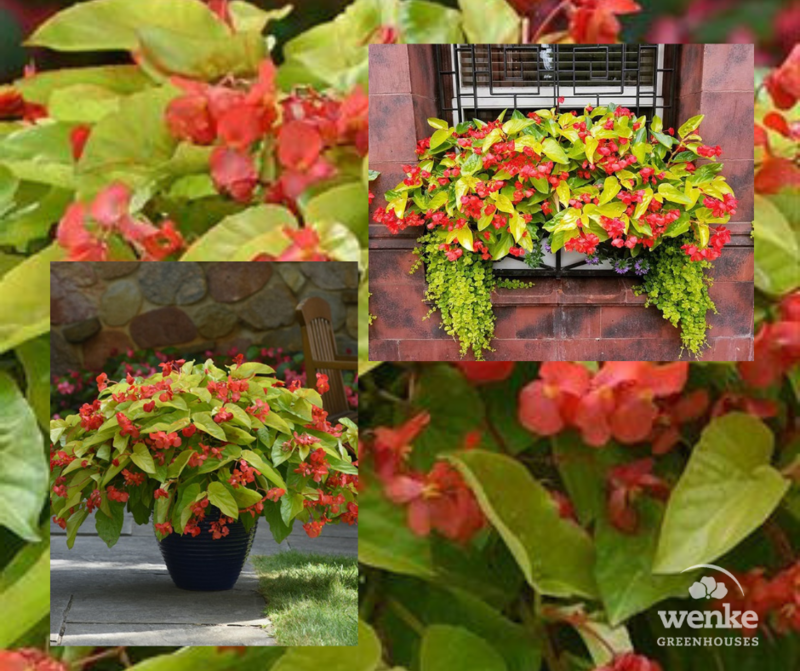 We are excited to introduce Canary Wing Begonias! Canary Wings offers a unique look on a plant that has become a staple in gardens around the world! Canary Wings has bright foliage that changes from yellow to bright chartreuse throughout the season on a plant that continues to perform all Summer long. A great option for shade/early morning sun baskets. A little bit of morning sun brightens the foliage. Good for small pots and large containers in a combo. This is an exciting and stylish plant to add to any shade container. Its unique chartreuse foliage will brighten up any shade garden or dark corner. The bright red flowers attract hummingbirds and bees. Plant in flowerbeds, patio planters and window boxes. 12”-16” spread. Self-cleaning. Wenke e-newsletters are meant to provide you with plant & gardening information and are sent out about twice a month. Email addresses are used for Wenke e-newsletters only.